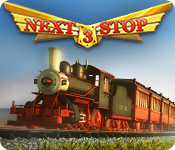 Next Stop 3 is rated 3.9 out of 5 by 35. Rated 5 out of 5 by zenpunk from Another great one The Next Stop series is probably my favorite of Big Fish, and number 3 is more of the same, which is welcome. My one complaint, if I had to, is how little the series changes from game to game... no real innovations like other games like the Building the Great Wall series (also great, check it out), but, this is my favorite, so I guess I could argue if it ain't broke don't fix it. I was (mildly) excited to see a little mini-game included in this one...the 'Clicker'... but, ultimately, to me, it was very confusing and no fun whatsoever. A simple, fun mini game would be cool, but this was a huge wiff. Other than that, though, still the best BF game series out there, and number 3 doesn't disappoint. The large number of levels will keep me occupied for a couple weeks, but I already can't wait for number 4. Rated 5 out of 5 by DetLisa from Next Stop Series Keeps Getting Better I own the other two Next Stop games, and couldn't wait to download this one. Its challenging, even when playing in relaxed mode. I like the idea of shipping different types of freight to earn more money. The clicker game is a game within the game. Unfortunately, I am not known for my patience, and the clicker game is way too much of a time consumer. Still, the main game is awesome. I recommend it. Rated 5 out of 5 by thewolves from Fun game If you've never played any Next Stop games, I recommend that you start with the first one. In many ways, that one is the best. Almost all of the levels are fun to play over and over, trying to figure out the best way to accomplish each level. Next Stop 2 had a bit better graphics than the first one, and you get four workers instead of the three that the first one has. However, many of the levels are more like logic puzzles or else have just one or two tasks that you have to perform over and over. Only about 10-15 levels are fun to play over and over. The biggest disappointment in Next Stop 3 is that they went back to having only three workers. Of course, the timing is such that each level can be accomplished with three, but I'd find the game more fun with four workers and a shorter time limit. And again, only about 10-15 levels are fun to play over and over. Rated 5 out of 5 by Pippin1978 from My BAD! I'm a Time Management fanatic, but for some reason this series got by me. I finally tried this one, and wow I'm hooked. This is a sharp game. 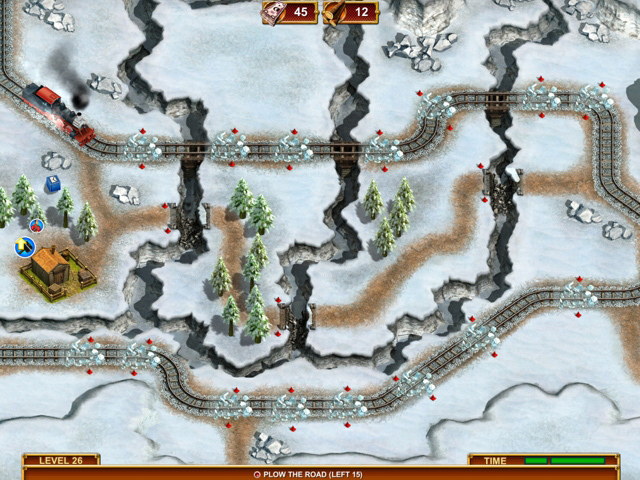 A great level of challenge, one of those where you make it by the skin of your teeth with the right strategy. I will finish 3, and then go back and play 1 and 2. It's a well done game. Some of these games can get redundant, but this one is unique and each level differs nicely. I love it. Rated 5 out of 5 by izuru from Best Next Stop yet! This is the best one in the series, I think! 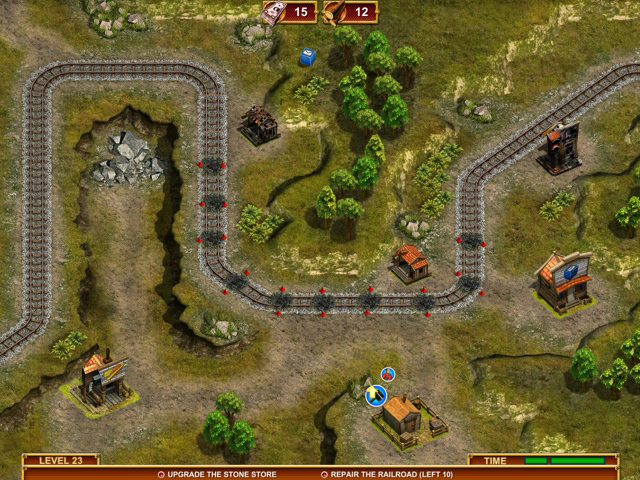 I love the gameplay which is similar to previous games, and the extras (building a train yard and the clicker game) just add to the fun. There is a relaxed mode so you don't have to rush if you don't want to, and it's still challenging. I hope there will be a Next Stop 4! Rated 5 out of 5 by almarcam332 from All Aboard for Fun! I love these games! Not the usual TM game, but still very fun to play. I now own all 3. The levels are fun and I really enjoy that I can play in relaxed mode, all TM games should include this option. The "Clicker" level is different and somewhat boring, but I am determined to finish it just to see what happens, lol! On this part of the game, I have found that you can upgrade each "building" to level 15 and you can buy 9999 total of each of the "functions" (sorry, but can't remember exactly what they have called each, but you will see what I mean). Really isn't much point in playing this part of the game though. Otherwise the game really is fun, all 3 of them are some of my favs. Try the demo and see what you think. If you find you do enjoy it, try the other 2 in the series as well. Rated 5 out of 5 by compcrzy from Love it! I have been waiting so long for another Next Stop! I absolutely love this series and I bought this without even playing it first. I read the other reviews and that was good enough. I am not sorry or disappointed. It is everything I expected and more! Rated 5 out of 5 by Momma_Llama from Yay! Next Stop is BACK! I love these games! There's a new addition to this one... picking up supplies... that adds some fun and the old quests are still there, too. There is something in this called "clicker" that I simply don't get and think they wasted their time with, but it's nothing important to the game, so it's good for people who like it and easily left alone for those who don't. 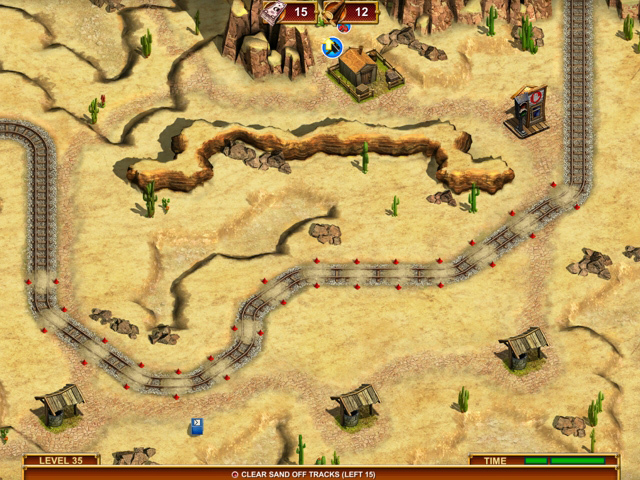 In this one you get to build a train yard... in the same manner you got to build a town in the second one. And all the old characters... including the not-so-bright banker... are back! Rated 5 out of 5 by Marinersfan04 from So Glad They Kept the Music I only play in Relaxed Mode, and love the visuals and dialog in this game. And for those who enjoyed the music in Next Stop 2, you'll recognize some familiar melodies. Someone who works on this game is a Jeff Beck fan :) ! If you're a TM game lover, you will enjoy this game a lot. Thanks, Devs, for continuing the series.